Click on any CD to see a larger, more detailed picture. Hyperlinks will take you to artist's biographies. Yule Struttin'/ A Blue Note Christmas - miscellaneous. This is a pretty decent CD. In my opinion, the highlight is Dexter Gordon's Have yourself a Merry Little Christmas Benny Green performs Thelonious Monk's A Merrier Christmas on the piano, and then Dianne Reeves performs a vocal version, which is interesting. Bobby Watson & Horizon perform a great Christmas medley as well. A nice mixture of various styles. 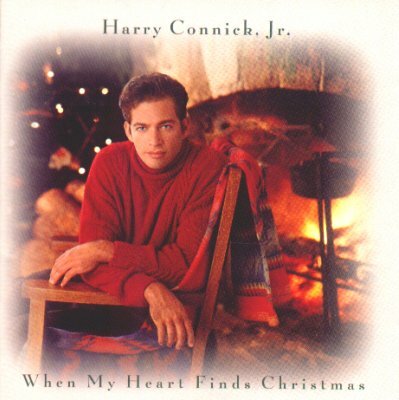 Harry Connick Jr - When My Heart Finds Christmas. This CD was recorded during the height of his popularity, so I had great expectations for this. It didn't meet my expectations, but it is pretty good. The highlight is the big band/swing compositions Sleigh Ride and the original composition (It Must've Been Ol') Santa Claus. Another good tune is non-swinging What Are You Doing New Year's Eve? There are 4 original compositions, all of which are solid, but this CD has a few bad songs, such as a terrible rendition of Ave Maria, that hurt it somewhat. 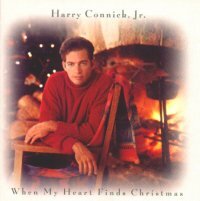 Overall, you could do a lot worse for a Christmas CD, but this isn't on the level of Connick's CDs during this time period. 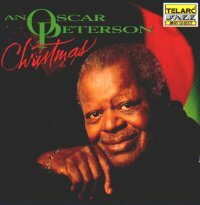 Oscar Peterson - An Oscar Peterson Christmas. Great stuff! If you like Oscar Peterson, grab this, because this is vintage Peterson. Well, he does use a quartet, instead of a trio, and Ed Thigpen and Ray Brown aren't with him, but it's still vintage Peterson on the piano. Most amazing is that he is (I believe) 73 years old when he made this, and he is still very fast! He also uses guest instruments on some songs, the vibes and the flugelhorn. You'll be swinging from the get-go on the first song, God Rest Ye Merry Gentlemen! Highly recommended! Wynton Marsalis - Crescent City Christmas Card. I haven't really formed an opinion on this. It didn't "wow" me right away, but it's been growing on me. 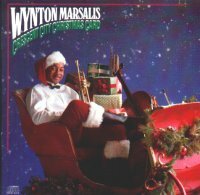 Since Marsalis is also an established classical trumpeter, it's not surprising to hear an opera-sounding female singer on Silent Night, but still, I can't groove to her. There are some highlights on this, CD, though, and some good solos. This one just hasn't bowled me over yet, but sometimes Christmas CDs take a few seasons to catch on. 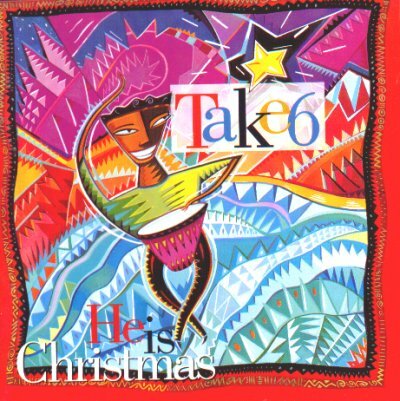 Take 6 - He is Christmas. OK, not your traditional vocal CD, by ANY means, but a brilliant one, nevertheless. They really jazz up the songs! They do perform Hark the Herald Angels Sing, and it is simply the most beautiful vocal Christmas song I've ever heard, but otherwise, they don't do a lot of traditional anything on this. Very, very soulful. As a rule of thumb, I don't like The Little Drummer Boy (pa-rump-pum-pum-pum ... ARGGGH! ), but they are out of sight in their rendition, as Mark Kibble really pours his soul into the lead vocal. They team up with the Yellowjackets for God Rest Ye Merry Gentlemen. There is one original composition on this, and it is solid. On 'Twas Da Night, you hear bass singer Vinnie Chea perform The Night Before Christmas at a rapid speed, that is fun. Outside of the song with the Yellowjackets, this album is entirely acapella, but the fingersnaps and such really make you groove. A very good CD, but it may take a few listens to warm up to! 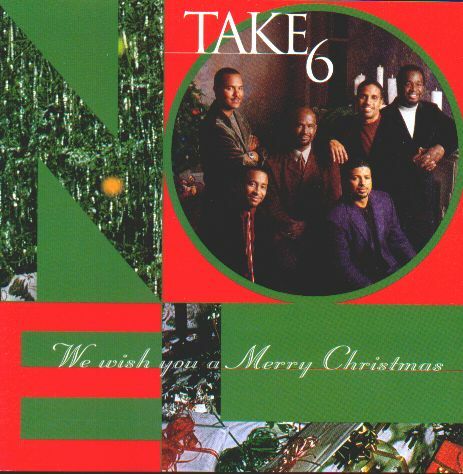 Take 6 - We wish you a Merry Christmas. This 1999 release is, in my opinion, a stronger CD than the previous one. 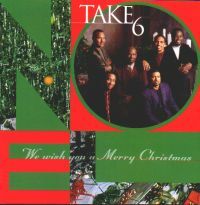 It has more of a traditional Christmas "feel," yet, since it is Take 6, there is a lot variety. Unlike the last CD, from their nearly accapella-only days, this has instruments on some songs. 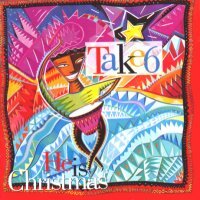 It kicks off with a stirring accapella version of the title track fused with Carol of the Bells. Kirk Whelum joins them for Winter Wonderland. The members' wives join in for a soulful rendition of Go Tell it on the Mountain. Diana Krall - Have Yourself a Merry Little Christmas. When you're hot, you're hot! And I'm not talking about just her looks! She has turned out a string of brilliant recordings, and while I just bought this on the night that I am typing this, I was instantly impressed. It is only a 3 song EP, which is the only drawback - because she performs them so well, I wish she would do more. She pours her emotions into the songs, as she always does, but especially on Christmas Time is here, which is just her and guitarist Russell Malone, who plays on her CDs. 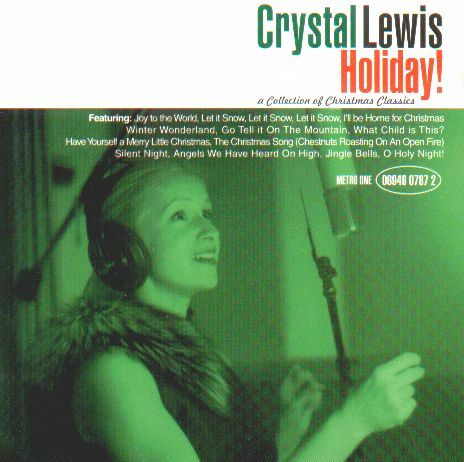 On Have Yourself a Merry Little Christmas she uses a quartet, with a drum, which isn't common for her, but it works. The last track, Jingle Bells, is just her and the piano. Included with the CD is a 12 month desk calendar with 12 different photos of her - so if you find her attractive, this is added incentive to but this. If not, then buy it for the music alone, because it's worth it! 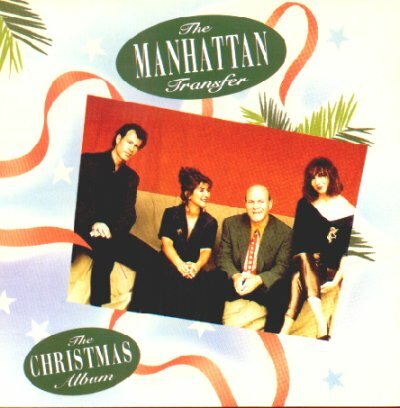 The Manhattan Transfer - The Christmas Album. At first, I wasn't impressed, but this one has really grown on me through the years. I guess it didn't make a good first impression, because I unfairly use Take 6 as my benchmark for vocal groups. They aren't as innovative and as soulful as Take 6. They use a more traditional vocal harmony, similar to Lambert, Hendricks, and Ross and New York Voices. If you like that style, this is very good. Once I accepted this, and judged the record on its own merit, then I really began to enjoy it. It has a variety, from traditional old carols, to John Lennon's Goodnight. Tony Bennett sings with them on Mel Torme's The Christmas Song. Pretty good find. 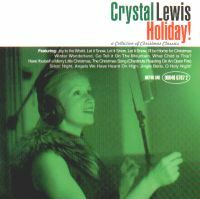 Crystal Lewis - Holiday! In a word, "Wow!" It seems like the best CDs are the ones that surprise you. Lewis is not a traditional "jazz" singer. Her claim to fame is in the area of Contemporary Christian music. She has a powerful voice and has a lot of feel. 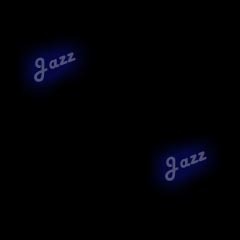 I wasn't expecting a jazz album, or even a great jazz album, but it is! Peter Erskine (drums - formerly of Weather Report), Dave Carpenter (Bass), and Alan Pasqua (piano) back her up, along with an orchestra on a few songs. The music really moves and she does some great interpretive work on the lyrics. I can't say enough how good this really is! Chet Baker - Silent Nights. 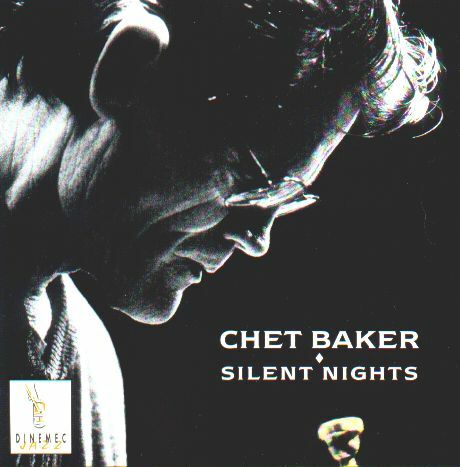 Chet Baker joins Christopher Mason (sax), Mike Pellera (Piano), Jim Singleton (Bass), and Johnny Vidacovitch (drums) for a Christmas jam session. The result is great Christmas jazz. Along with traditional Christmas songs, played in a jazzy style (I LOVE their rendition of Joy to the World), they play some non-Christmas spirituals, such as Nobody knows the trouble I've seen and Swing Low Sweet Chariot.